If I were to talk about each part of the trip, you may be reading this for a while. So, with that, I’d like to take a few minutes to compare and contrast Scotland’s sheep industry to ours here in the States. 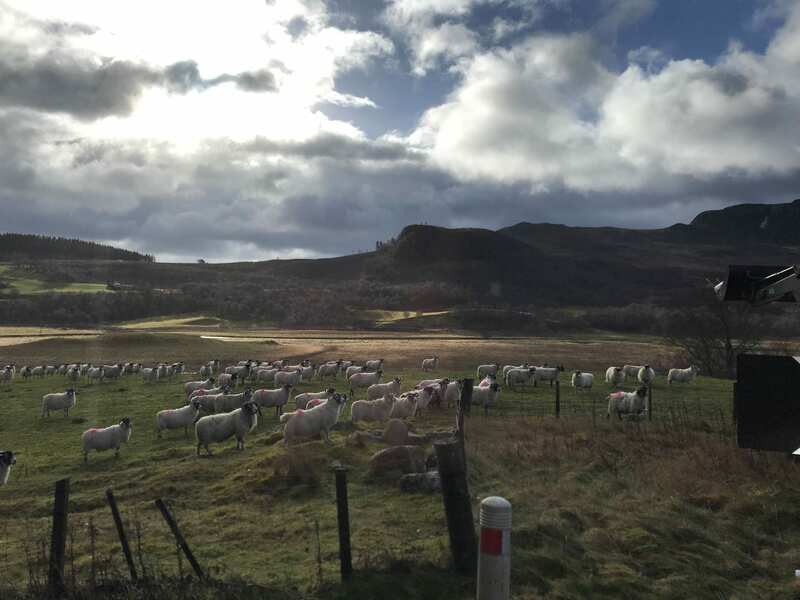 While at the university of Glasgow, Dr. George King gave the students an overview lecture of sheep production in the United Kingdom, specifically detailing the importance of sheep in Scotland. Scotland is home to over 6.5 million head of sheep. With those numbers, there are about 1.2 sheep per resident currently living in Scotland. Within the European Union, the United Kingdom (Scotland, England, Wales, and Northern Ireland) makes up 37% percent of the total sheep population. From an economic perspective, sheep production is far different in Scotland than it is here in the States. Dr. King shared that the average UK sheep producer rarely loses less than $18 – $20 per ewe per year. He continued to mention that most are content with this and continue farming this way. In hearing this, I couldn’t believe it! How are producers making any money? The key is government subsidies. 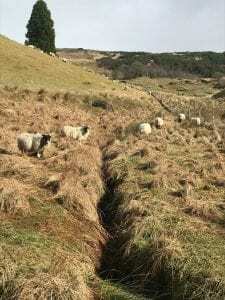 Due to the harsh conditions of the Scottish Highlands and the inability to produce anything else in the rugged terrain, the government offers subsides to livestock producers to encourage them to continue farming to carry on the history of sheep production in the Scottish Highlands as well as maintain their in country resident population. Therefore, producers simply farm to collect the subsidy. However, not all sheep production in Scotland is supported solely by subsidies. Producers that are focusing on genetics and producing premium sires or are managing flocks in the lowland regions are able to achieve $17 profit per ewe per year. Of course, those that are producing premium studs for breeding purposes are able to capture much more than this. So, what type of sheep can thrive in this area? The Scottish sheep industry has a unique production system in which it divides production areas into several categories including hill, upland, and lowland sheep production in addition to a focus in purebred production of terminal sires. Each production system is unique and uses specific breeds which are able to thrive and handle the environmental conditions. 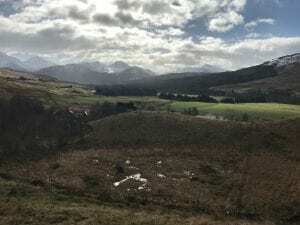 For hill production systems, which is primarily located in the Highlands, the goal of this type of production system is to survive. 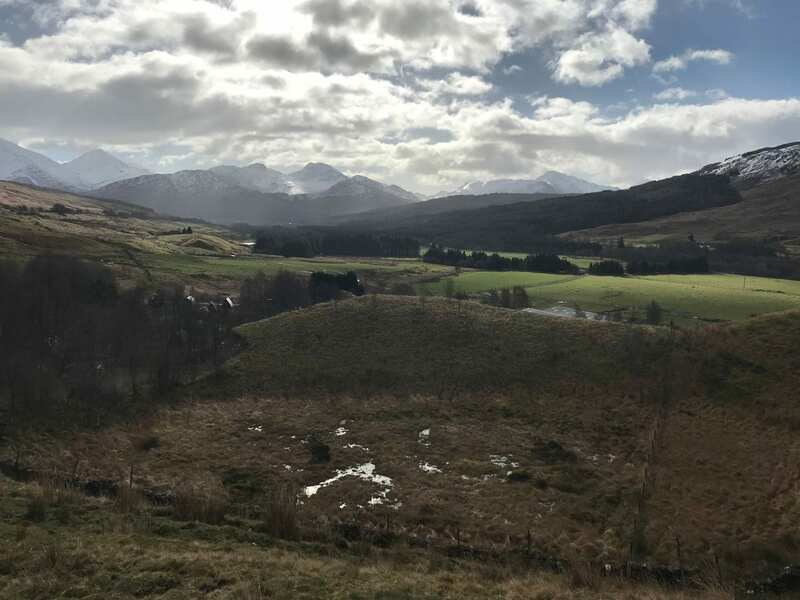 While visiting the Hill and Mountain Research Center with the Scottish Rural College (SRUC), the researchers at this location stressed that a 100% lamb crop is desired. 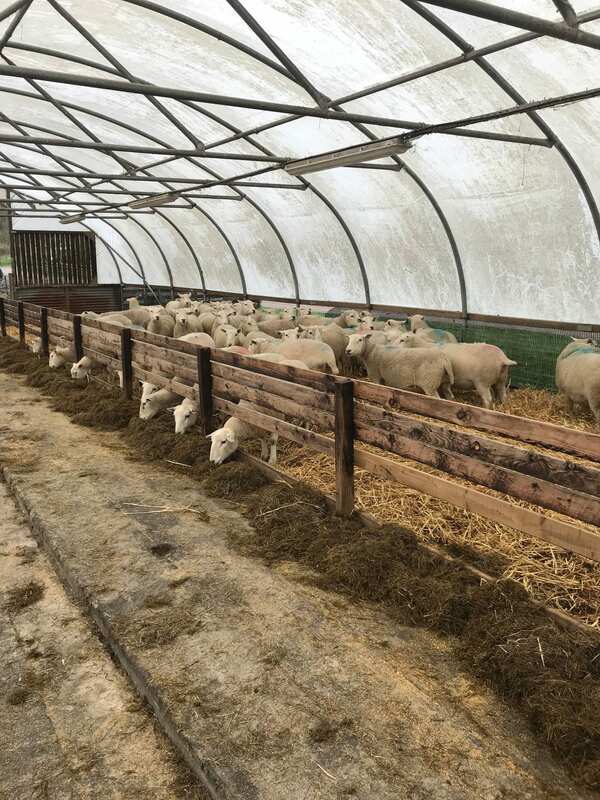 Due to the harsh conditions, poor forage resources, and vast amount of land to cover, ewes with one, nice single are preferred over ewes with twins. Sheep breeds that are able to withstand these conditions included the Welsh Mountain, Cheviot, Herdwick, and of course the iconic Scottish Blackface. These sheep are small in stature, light weight, finer boned, and overall more apt to surviving rough production conditions. Due to the harsh realities of these systems, ewes in hill production systems are culled within 4-5 years. 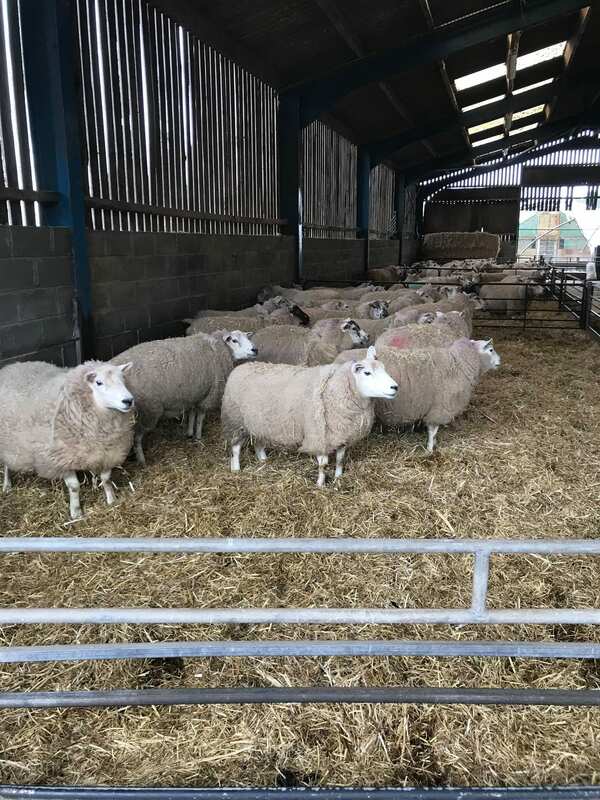 Culled ewes are either harvested or sold to other producers that live somewhere in between the highlands and lowlands to produce lambs from these ewes for a few more years. Crossbred sheep production is also a large staple Scottish sheep industry. As a means to capture the hardiness of of hill breeds and the mothering ability and size of longwool breeds, producers will create the crosses of the North Country Mule, Welsh Mule, Scotch Mule, and both Blueface and Border Leicester crosses. These sheep are raised below the hillsides in the upland areas and provide greater economic return to producers. 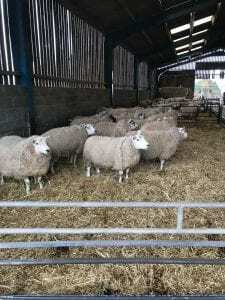 These F1 crossbred sheep are then mated to a terminal sire, including Texel, Beltex, Charollais, Suffolk, and Dorset for example. 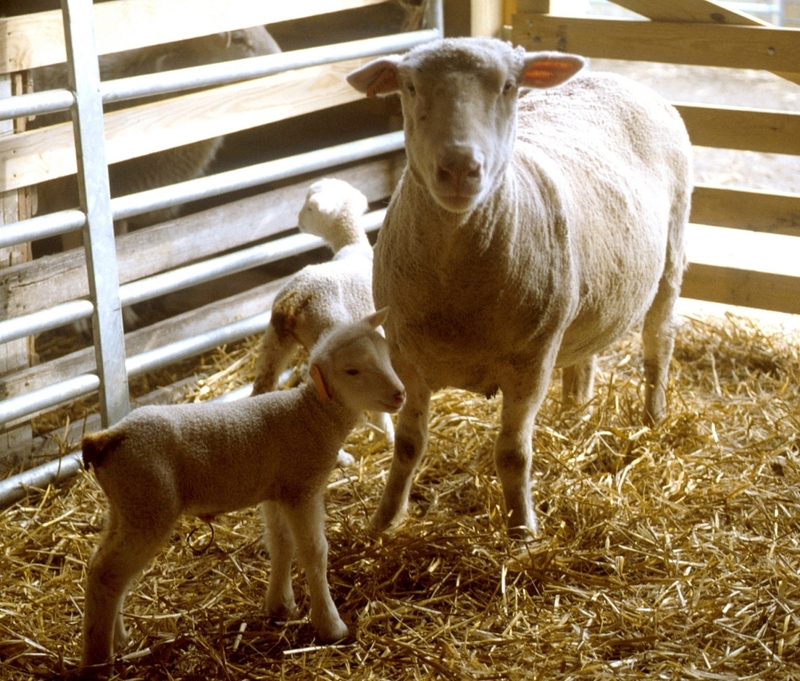 The F2 offspring are then used as terminal lambs, either fed out on grain, pasture, or a combination of both in the lowland regions of the country. This system used by these producers works really well as these F2 crossbred lambs are consistent in size and offer premium carcasses. In addition to the breeds listed above, while at the University of Glasgow’s teaching and research farm, Cochno Farm, two unique breeds of sheep were brought to our attention. The first breed was the Aberdale, a breed that genetically contains the Inverdale gene which regulates prolificacy. This composite breed of sheep is sometimes favored as a profitable counterpart compared to traditional breeds. These sheep are short, stout, efficient, and very prolific. Even so, an issue that the farm was facing was the prolificacy of the sheep. With an excess of lambs, the farm had a low success rate for fostering and caring for orphaned lambs. At times, this farm found that upwards to $80 per head was lost on each lamb that had to be artificially reared. Perhaps this staggering figure came from the fact that grains for feed are difficult to grow or import or that the environmental conditions were simply too difficult to achieve a better success rate. The other breed of sheep that certainly caught my attention at the Cochno Farm was the Easy Care Sheep. Easy Care Sheep are a breed of wool sheep that naturally shed their wool. 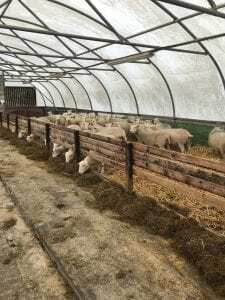 Under the right metabolic conditions, which are regulated by day length, temperature, and nutrition, these sheep will naturally shed their fleeces without the need to be shorn. These sheep were developed from the Welsh Mountain sheep crossed with the Wiltshire Horn, which is where wool shedding characteristics originate. Some of you may be thinking, these sound a lot like hair sheep and I would have to agree. However, the Easy Care Sheep also have a bit more muscling. The benefit of these sheep is obviously the fact that they do not have to be shorn. Just as we have seen in the US, the UK wool market is low. Figures again from Dr. King show that the wool harvested from the average Scottish ewe is valued at around $3. However, it costs approximately $10 to manage and produce this fleece. It’s no wonder there is some interest in natural wool shedding in sheep! Although there are several other aspects of the trip that I would love to cover, in order to keep this article brief, I will end here. Perhaps I’ll cover other information on my next trip. In general, the production systems and breeds of sheep used to produce lamb in Scotland was a bit different than what many of us are used to, but the producers are still the same. Hard working, genuine people raising sheep for the passion of it. I hope you enjoyed this piece and if you see me in person and would like to know more about the trip, just ask! Until then, happy shepherding! Posted by Braden Campbell at 8:00am March 20, 2019 Posted in Management and tagged Economics, Forages and Pasture, Management, Nutrition. Bookmark the permalink.